The first few weeks of school can be challenging for both your children and your family. 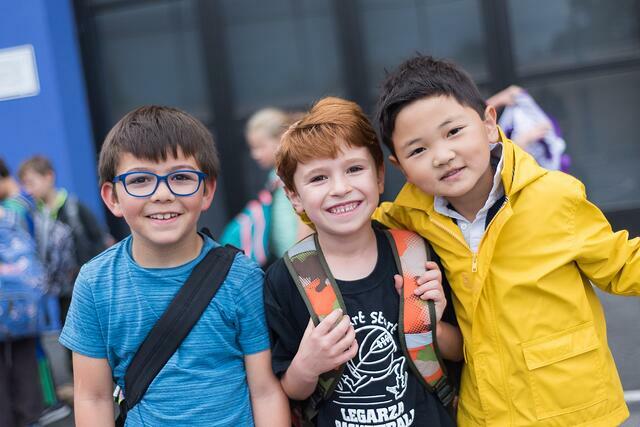 ISTP's Elementary School (PYP*) Principal Lauren Christel recently shared some ideas to help your family re-adjust to the routine of school. Whether your child attends public school, private school, or a bilingual school like International School of the Peninsula, these tips will make your back-to-school just a little easier. Develop a bed time and wake up routine well in advance of the first day of school. Start a week or two early to get back in the swing of things. It can also be helpful to incorporate some reading time, either independently or reading together, to keep this great habit going during the school year. Develop a habit of setting out clothes, backpack and lunch/snack items in the evening to prepare for the next day. Also establish a morning routine that's the same every day and manageable for your child. Use a timer if necessary to keep them on track! Connect with school friends! Schedule a playdate or two to get your child excited about seeing their friends again. Carve out some downtime in your child's upcoming school schedule to allow for play and unstructured time. This is where creativity shines and the ideas are extraordinary! Refresh family expectations of screen time, and talk about what's reasonable for when your child is back in school. Designate an "office" space together with your child that is dedicated to homework, supplying it with fun pencils or other supplies to help make homework time something to look forward to. Get a fun, re-usable water bottle to stay well hydrated at school! ISTP is a candidate school for the Primary Years Programme. We are pursuing authorization as an IB World School. These are schools that share a common philosophy – a commitment to high quality, challenging, international education that ISTP believes is important for our students. Only schools authorized by the IB Organization can offer any of its four academic programmes: the Primary Years Programme (PYP), the Middle Years Programme (MYP), the Diploma Programme or the Career-related Programme (CP). Candidate status gives no guarantee that authorization will be granted.